Here is a collection of updates from two reporters inside the Bay County Emergency Operations Center near Panama City. Thursday, Oct. 11 at 10:30 a.m.: Kassie Kirk, 34, and Daniel Nellums, 28, live on a back road near Highway 77, which runs north from Panama City and connects to Interstate 10. Fallen trees blocked access to the dirt road and they had to walk on foot to a main road to try and get cellular service. That’s where we met them. They used our phones to try and contact loved ones. Then, they guided us through the debris to their family lot where dozens of trees had fallen in a circle around the home where they and their five children were weathering the storm. 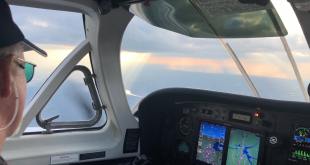 10 a.m.: Once the Emergency Operations Center personnel allowed us to depart and head back to Gainesville, we didn’t make it a mile down the road before we started seeing evidence of Hurricane Michael’s power. Fallen trees and power lines blocked parts of the two-lane road we were traveling. The minute we turned on to Highway 77 — a road more or less parallel with the path Michael had cut north across the state less than 24 hours before — we held our breaths. The first thing we saw was a gas station with its roof completely ripped off. The gas station’s owner declined an interview with us, saying she was still taking in everything that happened. 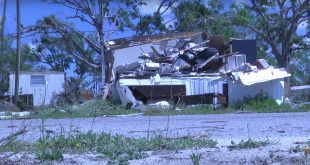 8 a.m.: From the point the curfew had been established until almost 9 a.m., we had received minimal information about what the aftermath of Hurricane Michael looked like. 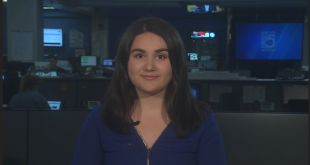 Local reporters were asking if their newsrooms had survived the storm and all the answers they received were uncertain. Nobody knew if they had a workplace to emit news stories from, much less a home to which they could return. “It looked like a bomb was dropped,” Congressman Neil Dunn said, confirming the fears of many in the room. We asked to leave the building as often as we could. We wanted to see the damages for ourselves. Wednesday, Oct. 10 at 7 p.m.: The rain has stopped, and the front doors of the Emergency Operations Center opened. 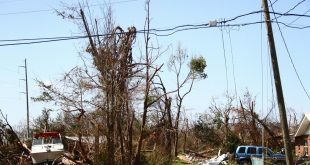 We step out, and the damage just in the near surroundings was proof of Hurricane Michael’s strength. A tree that had stood to the left of our car just 24 hours before had fallen over, missing the vehicle by mere inches. Walking around the perimeter of the EOC, we’re face-to-face with everything you’d expect a hurricane would leave behind: fallen power lines, broken trees, flooding and debris. Unexpected: A forest that appeared to have been tilted to the left like a crooked painting. 6:15 p.m.: An 8 p.m. curfew announced by Bay County Sheriff Tommy Ford became immediately implemented after the sheriff received news of looting in Panama City. An intense somber air filled the room during the afternoon press briefing. Emergency officials had low energy as they listed the multiple damages to their hometown’s infrastructure and discussed the initial damage assessments currently underway. Ford said those same communication issues that had left us without internet the last few hours are hampering their efforts by limiting interagency conversations. They say they’re working as fast as they can. The Emergency Operations Center received multiple calls which are currently being revisited and reprioritized in preparation for a response, according to officials. As of now, they have not given us any counts or numbers of phone calls received. 3 p.m.: Officials lifted the hurricane shutters off the front doors once the wind strength had calmed down to a point where it would be safe. For the last four hours, we have had to stand on tables in the briefing room in order to see out a set of three windows. We’ve been observing the whipping of trees back and forth, but the image wasn’t very clear past the window’s mesh. With the shutters gone, a dozen people huddled around the glass doors looking at Hurricane Michael’s damaging power. Debris was scattered around the building’s entrance, and rain beat down with a harshness that said the hurricane was still in the vicinity. A tree had split and fallen on to a car belonging to one of the staff in the EOC and a power line that seemed a few strong gusts away from toppling over. The room was fairly quiet as the collaborative EOC and Sheriff’s Office staff processed in the damage before them and seemed to brace themselves for what would come next once those doors opened for recovery efforts to begin. 1:30 p.m.: We started to feel and hear the heavy forces of the wind not too long ago. Bay County Emergency Services Deputy Chief Mark Bowen let us outside the building for 30 seconds. Once that was over, the storm shutters came down. It wasn’t until then that it settled in: We were on lockdown and Hurricane Michael was above our heads. 12 p.m.: Eight anxious officials gave an update late Wednesday morning on the first impacts of Hurricane Michael, whose eye is just off the coast of Panama City at the moment. The message is loud and clear: first responders know there are people in trouble but they can’t do anything yet. 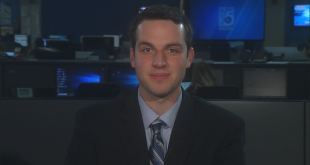 Officials like Bowen continue to fear that evacuation totals weren’t sufficient. Too many are still there. “It’s just math. There are people out there in this storm. It’s just physics and common sense that there are going to be some situations out there that could be unsurvivable,” he said. Another fear expressed at the press briefing by emergency officials is what will happen after the passage of the storm when people want to come back home. “We know everyone wants to come home. That may not be as fast as you want it to be, but it’s as fast as it’s safe to be,” Congressman Neil Dunn said. Before first responders can even make their way out to help those in need, some debris will need to be cleared. A few emergency services leaders blinked away tears at the press conference. They’re afraid not only of what damage the storm will do to their city’s appearance, but what horrors their people will be confronted with as they go out and try to help those most in need. 11:45 a.m.: The first physical signs of the storm’s effects from within the walls of the center came just minutes shy of a press briefing. The room’s overhead lights flashed and seconds later, the building’s generator kicked in. We jumped on chairs to get a peek outside the room’s windows. The near-black skies paired with the heavy winds that were thrashing palm tree branches. The rain we saw wasn’t heavy enough to block our sight, but the wind’s power is beginning to show. The message has now changed. From Florida Gov. Rick Scott to local emergency management officials, the evacuation time has passed: Shelter in place because it is now unsafe to even attempt to get to a shelter. 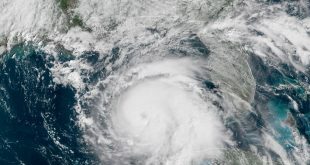 8:30 a.m.: A Bay County commissioner this morning told people who had stayed behind in Panama City to “hunker down” and stay as safe as they are inside until the storm has passed Thursday. 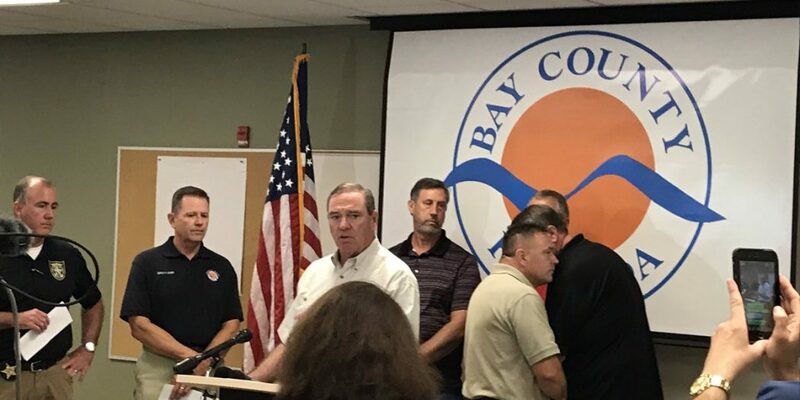 4 a.m.: Bay County Commissioner Robert Carroll gives his final warning to Bay County residents in an early morning press briefing. We could feel the anticipation building as the clocked ticked away, drawing closer to Hurricane Michael’s arrival. Officials were thrust into more continuous meetings. We’ve been told many of these had to do with the beginning stages of emergency services preparations. 2 a.m.: Hurricane Michael has been upgraded from a Category 3 to a Category 4 hurricane. Tuesday, Oct. 9 at 11 p.m.: Officials tell us we can expect to see tropical storm conditions within the next hour. 10 p.m.: Preparations begin for tropical force storm winds to arrive. The hours following the press briefing are overall quiet as the waiting game goes on. Media personnel that had been piled into one room, which doubled as the briefing room and our overnight quarters, began to leave for their hotel rooms to get sleep for the long days ahead. 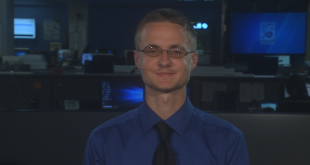 6 p.m.: A serious tone from emergency officials began our overnight coverage at the Bay County Emergency Operations Center. Official after official told us this is the worst possible scenario for Panama City and the Panhandle. “This is the worst storm that anyone living in Bay County has seen in their lifetime,” Congressman Neal Dunn said. On the way to the Emergency Operations Center, roads were clearing out quickly and gas stations boarded up as the last few people evacuating made their way out. But bridges stayed open into the night and part of the morning. 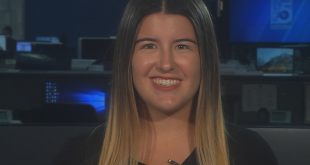 Bay County Emergency Services spokeswoman : Feeney said there was disappointment among officials at the low volume of people they saw evacuating. 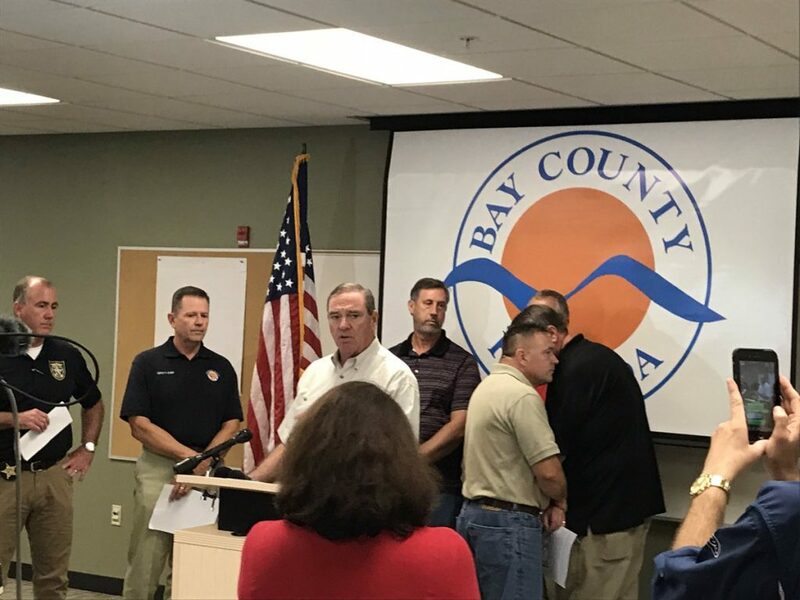 A mandatory evacuation order was issued for Bay County on Monday for approximately 120,000 people. The evacuation zones are divided into zones A through D, with Zone A at risk of receiving up to 9 feet of water from storm surges.